When I was in middle school, I remember walking to class feeling less than confident about everything because I was this short and cumbersome kid, and as one knows you are in an atrocious mindset at that age. Being one of the youngest of six kids, you tend to have pity parties on a regular basis. As a treat one weekend, the family was able to see the new science fiction movie Star Wars. 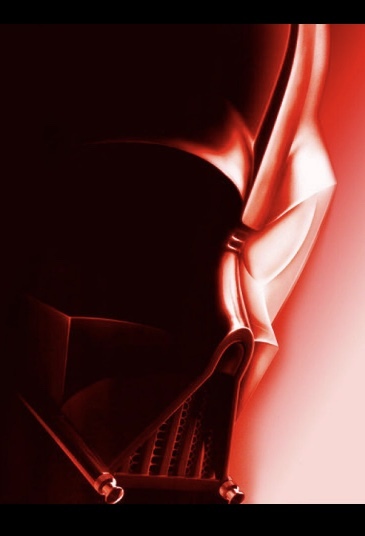 When the movie was over, I thought it was so cool, and from then on I always wanted to be Darth Vader. He was a villain you couldn't forget. Darth Vader could choke his enemies with the force and a gesture of his hand, and he wasn't impressed with much. He was my hero! There were so many people I would have tried that on. He could just put his hand out and choke the tar out of everybody that bugged him, and I thought that was such an incredible trait. I won't lie; I pretended to choke some of the kids that were always bugging me. One day when I was in PE, not happy about my green and yellow shoes, and dreading whether I was going to be shirts or skins that day. With hesitation, I lined up like I was supposed to for calisthenics. We were in the gymnasium ready for the coaches to come out of their office, when all of a sudden the doors behind me, which were a pair of old wooden doors that used to creak, and the handle mechanism made a loud noise, echoed behind us as the door slammed closed. I thought the coaches were coming in through the doors, and I didn't think anything of it when suddenly there was a familiar breathing sound beside me. I turned, and who do you think was standing there, but Darth Vader! Dressed all in black looking magnificent as he confidently strode into the room. I couldn't believe it, he flew his Tie fighter to Sparks Middle School to visit us, and of course I thought Darth Vader was there to visit me! His entrance was awesome! With his terrifying swagger, his cape swishing across our gym floor, and gaining more attention everybody was beginning to turn around. They were stunned that there was Darth Vader, the Dark Menace, and the Sith Lord from Star Wars. I had just seen him three days ago, for some reason, I was frozen in my spot. I think I was shocked with the whole idea that he was there in our school. What was unexpected was that all the kids in my gym class roared, "Get him!" in a berserk rage, and in a fray, they attacked Darth Vader. The kids were grabbing at his helmet and his cape, I just stood there is astonishment asking myself, "What is going on?" The Sith Lord was trying to get away, but the students were tearing at his costume, and Darth Vader was trying not to hit the kids as he was fleeing. Obviously, he was an actor. Trying not to hurt the kids until his cape ripped, and then he was defending himself any way he could. His helmet was knocked off, and you could tell Darth Vader was getting upset, but abruptly there was shouting and multiple gym whistles going off from Mr. Dickie and Mr. Siddle. Red-faced, pulling kids off of Darth Vader, and spewing out commands of Stop! Saps! Stop! The coaches were able to bring back order in our gym; they were good at that. Once again Darth Vader escaped the battle, as he ran out of the doors. It was going to be a great visit with Darth Vader, and it turned out to be a free for all, an MMA battle, a Kumite first blood; all I know was that Darth Vader had come to our gym class as a surprise, and it backfired. It goes to show you back in the 70s, Darth Vader was a huge scary guy, and that is why he is feared by many, and still today one of my favorite villains. In the new movie out this week, we get to see why he was so scary in our imaginations and the Star Wars story. Though this is small, it has plenty of nutrients and protein. I make these weekly as my family likes to snack on them instead of an alternative. One takes inspiration from colors and interests to develop a design or style. This strong and vigorous atmospheric model can only blossom with the many shades and shapes are produced by colors of water, and the marriage of crystals in cerulean and jade. The overflowing of this mystical color can be delightful in any ambiance of any outermost region of the most elegant property. The nicest surplus to design would be a table runner or accent chest or cabinets highlighting any corner or niche in the room. The evening was a nice surprise the other night when we made this for dinner. 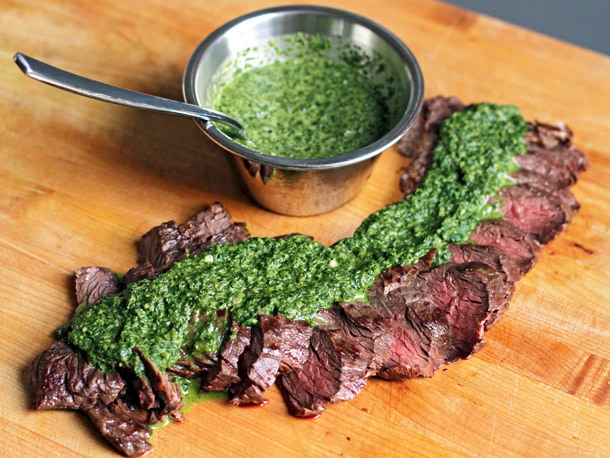 This marinade was a great combination of flavors and a super accompaniment to a brilliant steak. With a side of cumin infused couscous, and a blend of broiled cherry tomatoes, diced red peppers, and broccoli florets. This was a very pleasant meal to share with someone over a delicious glass of red wine. I am thrilled about entrepreneurship as a substitute for working a corporate position. I have been in business for 25 years, but I do make it a point to mention that not everyone is cut out to be in business for him or herself. I have tried to complete a list of pros and cons as a guide to determine whether one should decide if starting up a business is a good idea to pursue. Starting a business is an important decision because of the ongoing dilemma of current financial issues in this country. Though I get to be available more often than not for my family while operating a small business, I believe there are larger questions to considered when one begins the path to entrepreneurship. The following lists are the pros and cons one should concentrate on in this career decision. If you are let go because of downsizing, elimination of a position, or just as an excuse for termination, it may become challenging to obtain another job quickly. To be in business for yourself is a good way to create an income instead of spending your time preparing for a new position with a corporation. Without an employer involved, you can bill more for your services. You no longer have to worry about the funds split between you and an employer. Don't jump into working for yourself. One can work to his or her comfort level as you might say, as going too heavy can be detrimental. That is why some entrepreneurs working part-time until they feel leaving a job is viable. If you feel you need more income, instead of looking for an increase in finances from an employer, one can just pick up another client or service call to increase funds. It costs less per day to be in business than to work for someone. The costs of fuel, travel, daycare, groceries, and apparel costs can be far less than working in a corporation. As far as inter-office expenses, one can save on unforeseen costs as well. This savings can be from avoiding birthdays, baby showers, and constantly helping coworkers with fundraising for his or her child. Many of these unexpected costs can deplete funds and your time. Being in business as a sole-proprietor allows one to use the expenses associated with a project as tax deductible. The tax burden is much lower in your own business, and a considerable number of things are considered business expenses, like conference registrations. Insurance benefits are not easily available for self-employed individuals, and it can be tough to acquire health insurance if you have a pre-existing condition. These conditions make it impossible to get insurance coverage as a sole-proprietor. With a traditional job, and you have a poor sales week, you will nevertheless get paid. When you are self-employed, and you fail to make sales, you can lose valuable income. Maybe you have a legal contract, but sometimes things can still go south. When you are self-employed, you do not have anyone to take on any issues or dilemmas. When you are on your own, you have to make decisions that can make or break your business. Don't start a company that is excellent but not obtainable through starting your own business. If you don't redesign a new game plan, why bother trying? A good job is hard to create. Take all considerations of your life in making a decision to start a business. If you have a family depending on your income, you have to be positive before you begin a business on your own. You supply the company with everything from office space, insurance, phone, computer, or supplies. As the home business owner, you are responsible for all of it all. As a company owner, you do not get to take paid vacations, or paid sick leave, and you do not get to take a day well day off unless you have already made that income in business. You can make all of these items as mentioned earlier as the owner of your own business, but remember if you don't work, you don't get paid. Employer's new options are hard to compete with, even though working for yourself is flexible. There are reasons why people do not start a business. Companies now offer early out (EO) or flex time (FT) or telecommuting positions where employees can work from home. With various options available, these benefits assist employees to start a business without having to give up a regular salary to be a sole-proprietor. Running your own business, contract work, or consulting is not for everyone. The many securities of employment even with cutbacks that reduce different benefits like IRAs or 401K through your employers can still be better than unemployment. With that in mind, many organizations are employing more freelance companies for many specific jobs, and that can be a benefit for sole-proprietors. This trait is a growing in corporations because it is easier to hire a professional than to retrain an employee with the newest codes or procedures to complete a job. With the many situations that can counter the cons I listed, as well as the pros, one can easily get around these concerns if he or she concentrates on building a larger income. When created by the knowledge of a career, the discipline to run one's company, and the ability or expertise to complete various contracts. Before one makes a decision to run a sole-proprietorship, all options should be researched. A sole-proprietor must look into a business or many companies, so he or she can be aware of the options available to one as a corporation currently employs them. This is a fantastic copy of a traditional dish my dad made when I was younger. I found this in a cookbook I borrowed from him years later. He was a wonderful cook, and he was always very excited when his food was a big hit with the kids. Hope you enjoy this as much as my family does. **If you would rather not use pancetta in the dish, omit it from the recipe. 1 Prepare penne pasta per package instructions. Cook for 11 minutes, Drain pasta, and set aside. Prepare the sauce while pasta is cooking. 2 Add Italian plum tomatoes (and their liquid) to a food processor and pulse until sauce is smooth. Set aside. 3 Add extra-virgin olive oil and butter to a skillet over medium heat. Once hot, add bacon, add garlic sliced in half, to skillet and cook until garlic is light golden brown, about 2-3 minutes. 4 Add vodka to hot pan and stir. Bring heat down to a simmer and let cook for about 10 minutes. Remove large pieces of garlic. 5 Slowly pour tomato sauce into skillet, stirring to incorporate with the oil and butter. Also stir in crushed red pepper flakes and season with salt and pepper to taste. Let sauce simmer for 2-3 minutes, stirring occasionally. 6 Pour in heavy cream and Parmesan cheese, stirring sauce well. 7 Fold in cooked penne pasta. If desired, continue to cook pasta for another 5 minutes so sauce clings to pasta. Serve pasta immediately with extra Parmesan cheese and chopped parsley as garnish. Slice a loaf of ciabatta bread and drizzle with olive oil. Broil until golden brown and crunchy. Remove from oven. Take half a clove of garlic and rub it generously on the toasted bread. Add salt and pepper to taste, and sprinkle parmesan cheese on top. Broil for one minute or until the cheese has a nice melted look. Any space either in your home, or any personal space should reflect you as a person. When a guest or family member walks into the area, the style and character of the space should remind them of you. By adding accessories and interests that are yours as a homeowner, the area should reveal your style and design clearly. Form is achieved by displaying your likes of design, personal hobbies, and memory design. Memory designs are what you as an individual grew up with as a child and carried on with you as you became an adult. The most important decision is not to follow what is currently available in stores and trends that are most popular at the time. Design is often dictated by trends or something that is in demand from a familiar experience. As an example, when the movie came out 10 years ago about Dalmatians, of course there was a run on Dalmatian puppies. As the dogs grew, so did the reality of maintaining the breed of dogs healthy, happy, and behavior free. The breed was saturated in this country. That is how the trend is set without any considerations to the repercussions of a poorly thought out plan. In design, the same goes for that beautiful piece of art that was in the latest hit movie. One should ask, "Is that me? Alternately, look for art that compliments you, your style of wardrobe or your current decoration. Surprisingly, decorating in your home is not extremely different from picking an outfit to wear. A good exercise is to look in your closet. Determine what colors are you drawn to? Do you prefer modern or traditional? Clean or curvy lines? By using your preference in clothing as a guide in a style for your home, this will guarantee a space that is you. Determining your limitations in design can be your best defense against failure. Understand your limits in size, proportion, and scale of the room. Plus, one should consider his or her environment and adapt to it. Whether in the country or city, taking a cue from your surroundings will help. Look at the context of your space and base your choices on this streamlined path. Determining your comfort zone can be half the battle. Never purchase an impulse buy when shopping for furniture. Do not purchase the look without determining comfort. A good rule of thumb is a vertical or formal design is long, narrow, and stiff. A horizontal or informal design is wide and short or low. This furniture creates a more comfortable piece to sit or lay on. I am guilty of impulse buying, but I am getting better as I step back and determine what I am looking for in a piece of furniture. I have learned this important lesson. Nevertheless, I need to remind myself every time I go shopping for my home or a client. When the thought of home means cozy, and I want my furniture to reflect that thought, I make sure that the comfort level is there. If one asks for a formal design, I must look at furniture differently as it is not my idea of comfort, but theirs. The toughest thing is going to a friend's home and sitting on an uncooperative chair where your balance is taxed by the lack of comfort you are accustomed too. 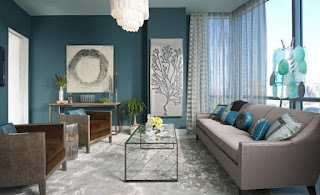 One needs to adapt to other homes and the style for which the homeowner is used to in their space. A good rule is a home should be inviting and comfortable no matter what style one chooses. Good design transcends time means a classic design that was or is used in the past, present, and future. Staying classic in design can incorporate style and design that will last much longer than the fads and trends of today. This method gives the designer the liberty to render them as one's design style evolves. I like to use classic furnishings with traditional prints. The fabric provides the homeowner or myself with a solid foundation to build on. This design can blend with trendy or personalized accessories or finishes, as long as the dominant design is classic. In design, it is thrilling to find a gorgeous antique dining table, buffet, or a traditional armchair. As a designer, it is disheartening to find furnishings where the shape, angle, and line of the piece are lovely, but the finish or fabric is wrong. In this circumstance though, I say: Score! With plenty of methods to alter or transform an older, classically shaped piece of furniture, it is easier to do than to find the perfect piece without any alteration. If it is a sofa, re-pad the seats and reupholster the piece, add new throw pillows, and re-stain or polish the feet. If it is an aged dresser, paint it, highlight the trim or accent the embellishments! The options are boundless when it comes to updating a classic or timeless piece. Everything used should be simple and fit comfortably in the space. Never overcrowd the room or space, as it looks overdone or cluttered. If you look around each room, determine what should stay and what should go. This process makes the room appear larger, and tidier as the area will take on the style as your own. If later one believes he or she needs more, additions can always be added gradually to enhance the style or design. Just remember, too much can become clutter, so more thought is less headache. Always access the space before buying and stay away from matching items and coordinating pieces. This act will enhance your style and show character in your design. Here is a great snack to bring to any holiday event. I always bring this because it is a huge success. I hope you have a wonderful season. People will eat it up. Thoroughly mix together in a bowl and make into a ball. Place ball in the center of a serving platter. Shape the cheese ball into an elongated ball. 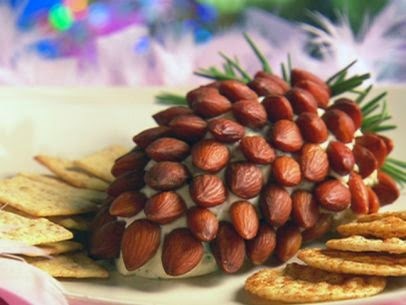 layer almonds on surface to resemble a pine cone. Add a sprig of rosemary to add greenery to dish. Lay crackers out along the rim of the platter. Personal favorite, sprinkle with light paprika, sliced almonds or sesame seeds, if you would rather not make it look like a pine cone; your choice. Add a small serving knife and look out. I never bring home leftovers, it disappears. Tip. Make ahead so the flavors marry before the party. "Daddy, I don't want you to eat that ham!" The other morning I was making a ham steak for breakfast. I knew by the look on my daughters face that she was pondering over a problem. I asked her, "Are you feeling alright...do you want some breakfast? She told me she wasn't hungry anymore. Now, my girl is never NOT hungry in the mornings and she was running around the family room since she got up, so she was not ill; So what was the problem? I served up the breakfast and placed it on the table. I poured a bowl of cereal for my daughter, added some banana, and brought her some rice milk. After everyone sat down she jumped up and gave me a huge hug. "Daddy, I don't want you to eat that ham!" she burst out. she was upset I was going to eat ham. I knew something was wrong. "Honey, why don't you want me to eat ham?" Before she would answer me, she ran over to the desk and grabbed a pencil and some paper. "Here write your name down," she said. I scribbled my name on the paper and asked her again, "So why can't I eat this ham?" She held onto my arm and handed me the paper with my name on it. She waited until I grabbed the sheet of paper from her. "Because I don't want you to get hamnesia," she said quietly. It took all of my will power not to break out laughing. I looked at her as she stared at me with her sad eyes and her heartfelt concern, she was serious. I had cereal with her, and she explained how she had watched a show where someone had amnesia and didn't remember his family. After she was calm and off playing in her room, I had the best chuckle. Nothing says "welcome" better than a piping hot New York pizza smothered in homemade tangy pizza sauce and oozing with fresh mozzarella; so welcome home. 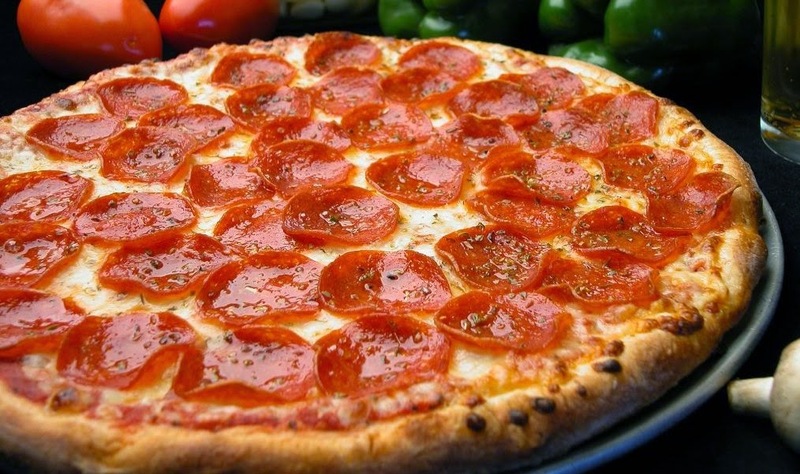 For many years families everywhere have made pizza as a staple entrée for dinner. No longer just a cultural meal, this tasty and affordable treat has become an icon in weekly food menus. Cooks can read about pizza in various books, forums on the web, and media publications. Fortunately, the many books available will specifically discuss the art of pizza making and the various ways this amazing dish represents different styles of origin. When looking into different styles of pizza, mainly two come to mind. The two most popular styles are perfect in every way. The only difference is whether the reader makes Chicago style pizza or the New York pizza pie. Both styles are incredibly delicious, but I can only comment on what I grew up with as a child. A New York pizza pie is very hard to find that tastes authentic. Many pizzerias claim to have the genuine New York pizza pie, but finding the "real deal" always creates a challenge. As cooks search for the best New York pizza recipe, variations of a close substitute can offer the cook some nostalgic relief. 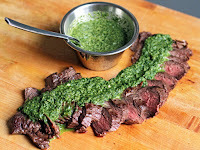 This mouth watering recipe will bring out memories of childhood in which the reader can remember the first time of the Empire State Building, the ferry to the Statue of Liberty, Coney Island, and of course the New York Strip. 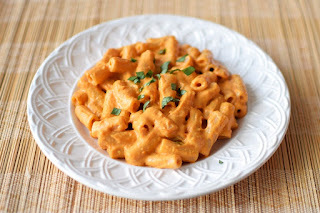 This recipe is easy to make and very delicious. Once the reader has made this pizza pie, he or she will want to make another and tell all of their friends about the pizza. The reader's guests will not be disappointed, so roll up your sleeves, and enjoy an amazing dinner New York style. 5 1/2 cups unbleached bread flour, save ¼ of this for rolling the dough. Dissolve the yeast in 1 cup of warm water in a small bowl; let stand 5 minutes. Combine 1 1/4 cups cold water, olive oil, cane sugar, and sea salt in a small bowl; swish with a wooden spoon, do not mix yeast or use metal utensils. Lightly spoon about 5 1/4 cups bread flour into dry measuring cups. Combine the flour, yeast mixture, and cold water mixture in bowl. Mix until dough begins to form a ball (approximately 6 - 8 minutes). Let the dough rest for 2 minutes in the mixing bowl. Turn dough out onto a floured surface. Knead until smooth and elastic (about 3 minutes); add enough of the remaining 1/4 cup flour, 1 tablespoon at a time, to prevent dough from sticking to hands. The dough should feel sticky to prevent drying out. Divide the dough in half, and place each half in a large greased freezer bag. Coating the bag with cooking spray will prevent the dough from sticking to the bag when the cook takes it out to bake. Close the bag and chill overnight. The dough may rise in the refrigerator, when pulled out to rest push down on dough. Let the dough stand at room temperature for one hour before using. Combine all the ingredients in a medium bowl, and mix. Four-Cheese Pizza: Brush each round of dough with 3/4 cup pizza sauce; 1 ½ cups shredded mozzarella cheese; 1/2 cup each thinly sliced parmesan cheese; Fontina cheese, and Sharp Cheddar. Pepperoni and Salami: Brush each round of dough with 3/4 cup pizza sauce; 1 1/2 cups shredded mozzarella cheese; 1/2 cup each thinly sliced red onion, sliced pepperoni, and sliced salami. Vegetable: Brush each round of dough with 1 cup pizza sauce; 2 shredded mozzarella cheese; 1/2 cup each thinly sliced onion, sliced orange bell pepper, sliced zucchini disks, and sliced sun-dried tomato halves; and jar of drained artichoke hearts. Margherita: Brush each round of dough with 1 tablespoon extra-virgin olive oil; top with 1 cup shredded mozzarella, 1 cup shredded provolone cheese, and season with salt and pepper. Bake until the top is lightly browned,approximately 10 minutes. Spread out 15 fresh basil leaves coated with 1 teaspoon olive oil over pizza; drain 8 thin tomato slices on paper towels; arrange on baked pizza. The cook should continue baking the pizza until the crust is browned on the bottom, about 4minutes longer. Red Hot-Wing Chicken: Brush each round of dough with 3/4 cup pizza sauce; 1 1/2 cups sautéed and cubed or shredded chicken breast mixed with 3 to 4 tablespoons Red hot wing sauce; 2 cups shredded mozzarella cheese; 3/4 cup thinly sliced red onion; 2 to 4 tablespoons thinly sliced fresh jalapeño chilies; 1 to 2 tablespoons minced garlic; 4 ounces cooked hard salami, cut into 1/4-inch chunks; and paprika to taste. Bake at 500F for 10 - 15 minutes or until cheese is bubbly and the center of pizza is cooked. The cook should remember to avoid stacking the toppings too high, or the center will never cook before the crust overcooks. When the pizza is ready, let it rest for a few minutes before cutting into it with a pizza cutter. The pizzas are a huge hit for dinners or weekend parties and when family comes over to sit, the only thing left to do is Mangiare. Mr. Tremblay has a degree in Business Management and his Masters in Business Administration. Patrick Tremblay is currently working on his PhD in Education, and is the co-founder of Rattledash Media LLC. Patrick Tremblay’s aspirations are for writing multiple children’s books and the future success of Rattledash Media LLC, in which Mr. Tremblay will manage the Southern California location. His current interests include writing interactive children’s books like Ducky's Parade (2011), Poor Poor Jack (2010) and Haiku Black Belt (2010) an adult humor guide; which both 2010 publications are available from Amazon in book, e-book, and Kindle form media. Patrick Tremblay’s hobbies are in writing, reading, art, cooking, and Children’s Education. The traditional Battle of Cyclo is upon the Planet Darr, and Prince Montserrat must defend his birthright– only he doesn’t know it. Strong but tormented Prince Montserrat has never appreciated the freedom of peace until his time spent on the terra planet, Earth. When his retreat on Earth is interrupted by the one bounty hunter he fears the most, Montserrat leaves the planet to protect the human race. Upon his return to Darr, Prince Montserrat has no wish to rule over the warring planet, and plans to escape once more. 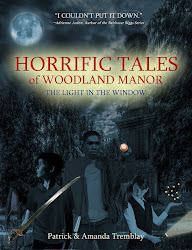 But Montserrat quickly changes his mind when he learns of his mother’s mysterious disappearance. With the help of his former lover and their oldest friend, Montserrat discovers the shocking truth about his mother’s fate and who is ultimately responsible for it. Now plagued with the knowledge that his continued defiance could result in social and political ruin for his family, Montserrat’s vision becomes clear. 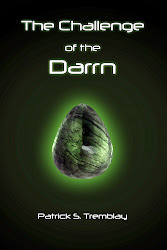 He must give up his freedom in order to avenge his bloodline and triumph over the Darrn. Montserrat has no other choice but to fight in the Battle of Cyclo and take the throne; once and for all. Now Available as a paper book and a Kindle reader. Six accounts of the Tremblay family's adventures including a young man earning his place as an assistant park ranger, a little girl who befriends a retired rodeo horse, and a historic Ferris wheel restored much to the delight of a young girl and her grandparents. This easy to follow recipe was made one-day when 15 friends decided to show up unexpectedly. Every family should keep these ingredients on hand. Good margaritas are hard to find, and many times the person ordering this drink either likes the margarita or he or she dislikes the drink. The problems with bad margaritas are the mix, the tequila, or too many ingredients. Some mixes are old, too bitter, and make the tequila bitter as well or some tequila is cheap and has a poor flavor. The problem with a majority of bad drinks is a poor ratio of ingredients. This recipe takes the mess out of the mix and delivers a nice margarita on the rocks. The best way to ensure a nice margarita is to use quality ingredients. If the ingredients are old, that too will make a bad margarita and that is not what the bartender wants to happen. Whether the reader is a bartender or just someone that enjoys a delicious margarita; this recipe is as easy as 123. The bartender should take a tall (20 ounce) glass and fill it to the top with crushed or cubed ice. He or she should then pour two full shot glasses (4 ounces) of quality tequila over the ice. The bartender should then pour three full shot glasses (6 ounces) of margarita mix into the tequila and ice. With a stir stick, the bartender should swizzle the drink until he or she believes the drink is mixed. As an option the bartender can dip the glass rim into the margarita mix before the first step of filling the glass with ice and dip the damp rim into the salt. After applying the salt, the bartender can then start the one, two, and three process of making a very delicious Margarita on the rocks. Margarita mix is available in multiple flavors. The flavored mixes are strawberry, peach, mango, raspberry, and finally melon that are available at the local market or liquor store. Sometimes the bartender should mix the flavors to make various combinations of a margarita. An equal part of strawberry and mango margarita is delicious and strawberry-peach is very refreshing. As long as the bartender follows the 123 rule on making easy margaritas, he or she can never go wrong. Once the margaritas are made and distributed to the entire group of guests, the bartender can take bows and shake hands for this truly is a delicious and easy margarita. He or she can modify this recipe by making a pitcher of margaritas the same way. The best method is to use a tall pitcher full of ice and make four servings worth of margarita mix and tequila. This recipe may vary depending on the pitcher so the bartender may need to add another serving and then another and maybe just one more. 2010, Rattledash Media, LLC. Simple theme. Theme images by luoman. Powered by Blogger.